Born in 1963, the Cosmograph Daytona has since become one of the most highly desired Rolex models with some rare examples selling for millions of dollars at auction. 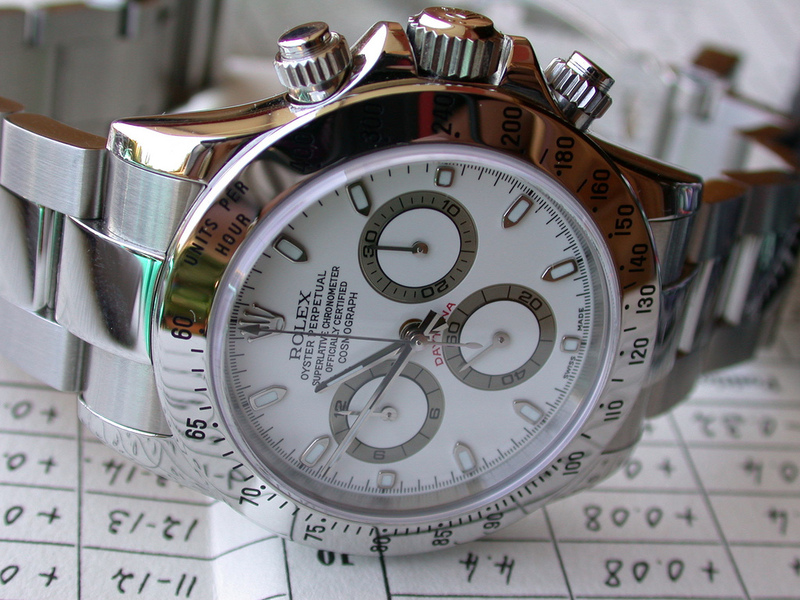 Jewelry-N-Loan purchases, sells, loans on, and repairs not only Daytona’s, but all models and variations of Rolex watches. 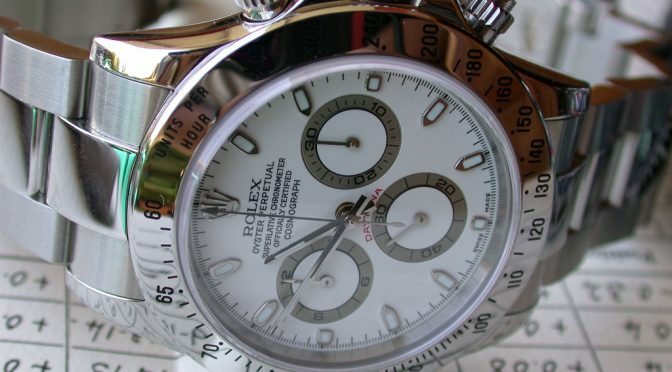 Named after the international speedway in Daytona beach (where Rolex is the official timepiece) the iconic wristwatch gained recognition when actor Paul Newman received one as a gift from his wife. In fact, there are just a handful of Daytona models with a special dial that is now called the “Paul Newman Daytona” – one of these watches sold for 1.1 million dollars in 2013 at Christies. These early Daytona’s are considered collectible watches – however the new models of the timepiece are still quite popular and expensive. Since the 1990’s the watches have only improved with a larger 40mm body, a self-winding automatic movement, and new variations in casing. Rolex will forever make iconic and important watches like the Daytona, Submariner, Datejust, Explorer, and Yacht-Master and Jewelry-N-Loan will continue to buy, sell, and, of course, loan against these watches. The family-owned pawnshop has a second-generation watchmaker on site to repair and polish these complicated watches and knowledgeable loan officers to provide amounts for a purchase or a collateral loan. Please call (949) 645-0488, or stop by Jewelry-N-Loan today!